Each corner I turn in this incredible country takes my breath away a little more. I don’t even know what to call this place. Euskadi. Basque Country. Gipuzkoa. Bizkaiko Golkoa. Golfo de Bizkaia. Some people would call where I am Spain and what I’ve experienced of here so far feels nothing like Spain. As a wise friend recently said to me, “Spain is a very young country.” We’ll get back to that. Where am I right now? I have just driven inland from the most incredible coastal cliffs in Deba and all along the coast where I travelled East between the border towns with France and West as far as Gernika to visit new friends in Olabe (more on that later, too). 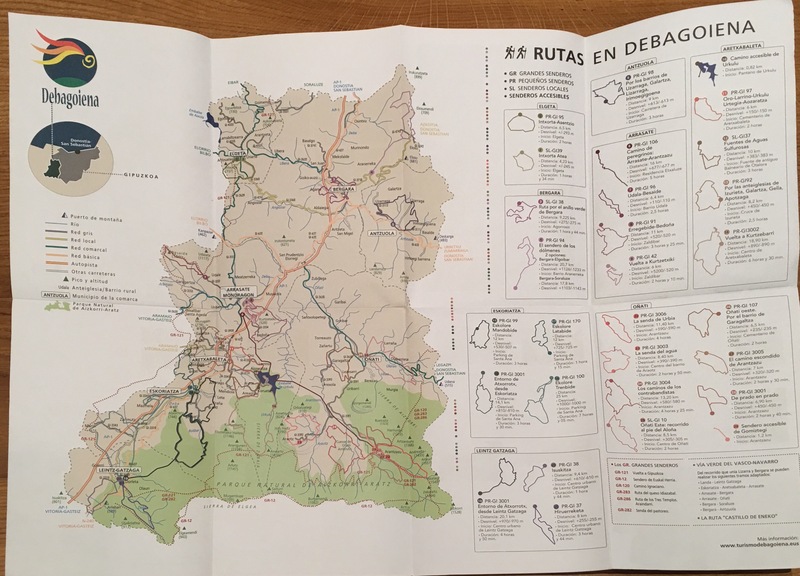 Right now I am sitting in a ‘treat night’ hotel in Oñati, the Hotel Torre Zumeltzegi, ready for a couple of days of hiking in Arantzazu, and Araotz (where there are magic places, I hear) – I am looking at a map detailing ‘Rutas de Debagoiena’ – another place? Yes! 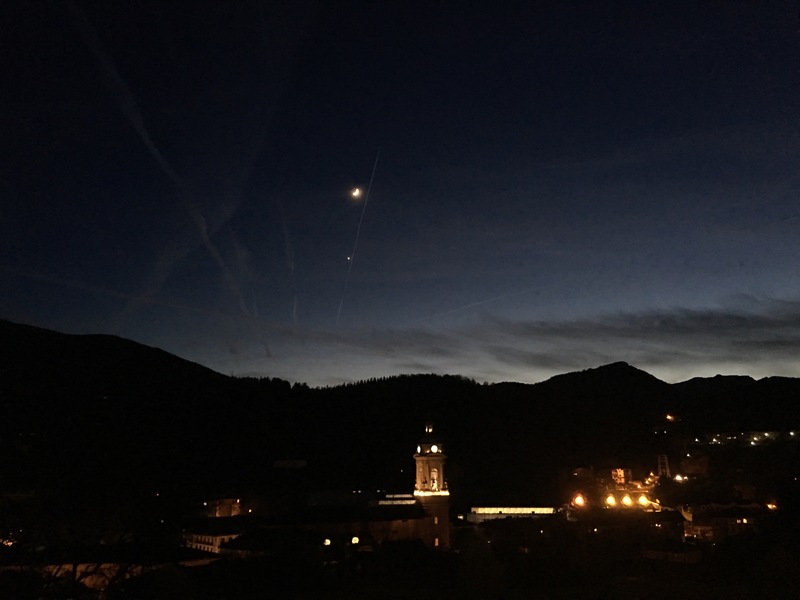 And I LOVE it – Debagoiena, almost a namesake like the coastal town of Deba where I stayed the last three nights, or ‘Debakoa’ as I read on one sign. The drive from the coast this morning took me through clouds and mountains. It was, again, all kinds of breathtaking. And on this journey, every other moment, I gasp at what I’m discovering and say to myself, “I feel like one of the luckiest people alive.” I know that I am and I’m inordinately grateful for all that I’m experiencing. I’ve been on the road since 2014, actually – with several very long stops in some key places, some of which I’ve written a little about in these pages. Since I revisited my home country in late August, 2016 and bought a car (thanks to the hospitality and help of my cousin Alice and her husband Marcus) I have actually been on the road and have started to travel and spread my wings in some of the most liberating ways. Under my own steam. Following my nose. Peddle to the metal. When we first set out we called this tour ‘Chasing Autumn’. 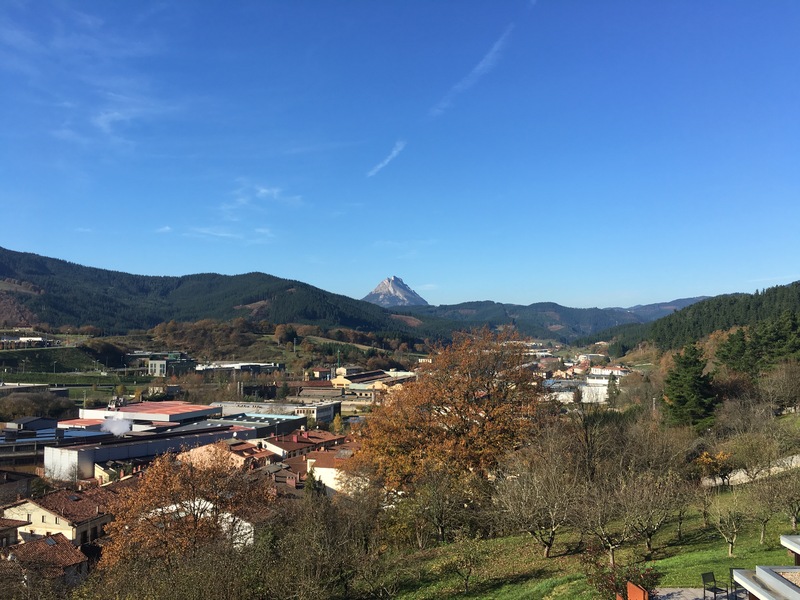 It began on October 24th, 2016, as we left the UK (‘we’ then being me, my mum, and my step-father), in two vehicles – my first time driving in Europe (although I have driven in India, more on that elsewhere at some point). We took the ferry from Portsmouth to L’Harve after a gorgeous ‘treat’ night in Salisbury, a fateful trip in a camper to the New Forest combined with a glorious visit with Julia, Indie, and Barbara the day before, several days in Bristol and a Circomedia performance starring Erin Loughnane before that, a very swift trip to Lowestoft to see cousin Alan and his wife Charlotte, and meet their daughter Elise before that, and the wedding of my year which had kept me tethered to northern Europe and which had taken place in Llangollen just before that (Sally and Amelia, you are shaping my days!). …and from there I headed to Hossegor for a few days (small place, beautiful lake, heavy freezing frightening waves, a lovely meal with Louise), Biarritz again for a few more still (wonderful, breathtaking surf, incredible chocolate from Bayonne), and then crossed the border and found Donostia – San Sebastian (pintxos perfection, fairytale vistas, super surf) and suddenly realised the Basque country had been sitting there all that time, having everything. As the lady in my favourite beach café in Deba, Itxas Gain, said to me, “aqui tienes todos” – yes, indeed, here you do have everything. Eskerrik asko, Euskadi. *Thank you for the title, Julia Hugo. It’s totally my pleasure and I’ve got lots more to share. Just driving in this country is stunning and so much fun! That’s so cool! Thank you. I hope the words I share will be worth your time and attention. Cheers!